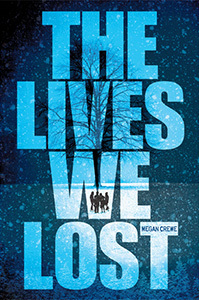 Today, we're happy to welcome author Megan Crewe to I'd So Rather Be Reading. 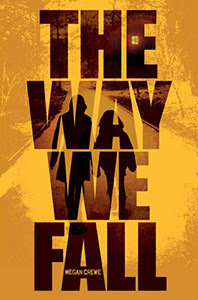 Megan is the author of the Fallen World trilogy. If you haven't picked these books up yet, I highly recommend them! Megan is here to talk about the similarities between herself and Kaelyn, heroine of the Fallen World trilogy. I'm often asked whether I base my characters on real people, and which characters I see myself in the most. The truth is that there's a little of me in all of my characters, especially my protagonists, but Kaelyn from the Fallen World trilogy is by far the closest. When I was writing her story, I often felt as though I was channeling my teenage self. Just how alike are we? -Shyness and social awkwardness. I was never overwhelmed in the big city the way Kaelyn has been, because I grew up in Toronto. But both Kaelyn and I had trouble figuring out where we fit in among our peers, and often found it hard to navigate the complicated social politics of high school. I spent many an hour trying to puzzle out what a random comment might have meant, why someone might have been friendly one day and not so much the next, and how to express a crush on a particular guy. -Fondness for animals. Like Kaelyn, I've always been fascinated by animals and the wilderness. While I never devoted myself to making a career out of studying them, there were several years when I thought I was going to be a veterinarian. I read all sorts of nature books, put pictures of wolves and horses on my walls instead of band posters, and had a menagerie of pets. Kaelyn's ferrets are based on two of mine. -Stubbornness. When I decide something's important to me, I stick with it one hundred percent. Kaelyn's very much the same way. It can be to our detriment, because sometimes there are things you need to let go of and we both may take longer than is ideal to realize that. But at the same time it means we're fiercely devoted to our goals and the people we care about. Fun post! I like the topic.